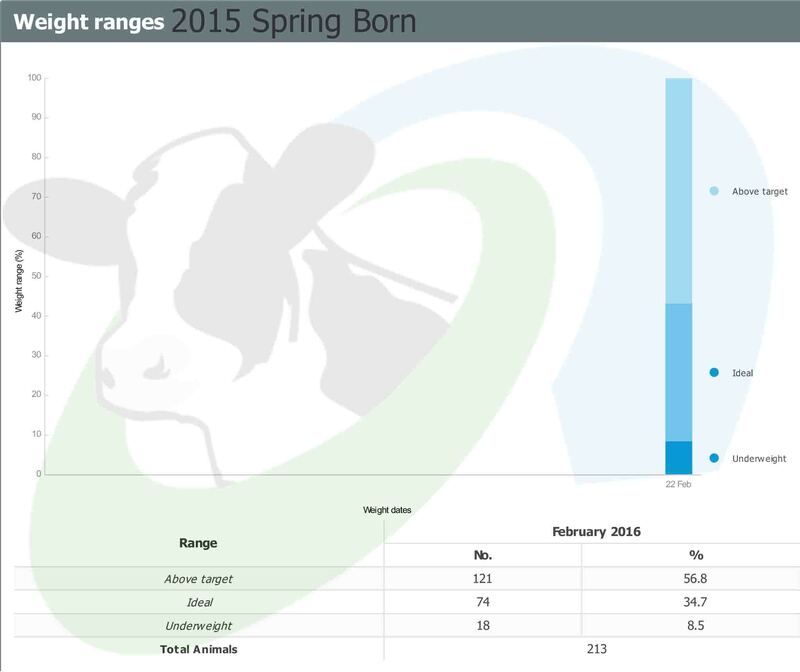 266 calves were reared this season, up from 236 last season. 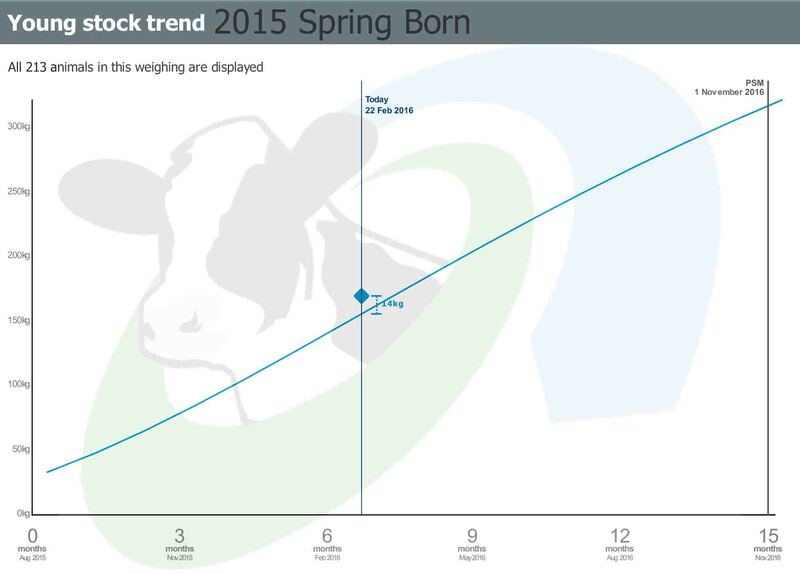 210 are at grazing as they reached 100kgs liveweight on farm. 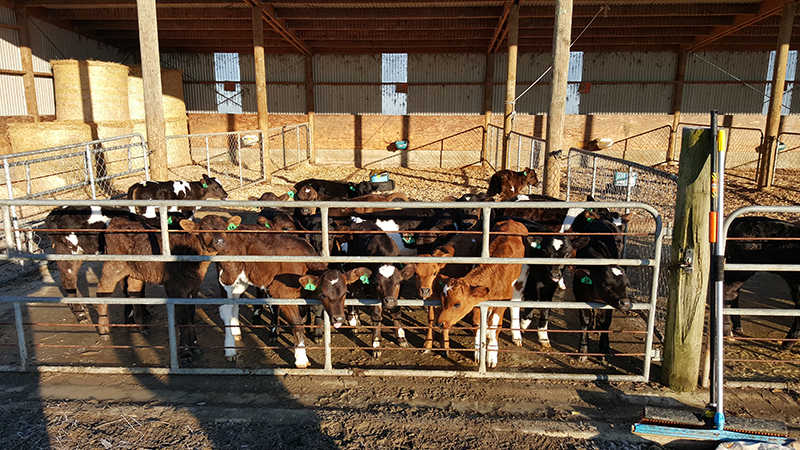 56 calves remain on pasture and meal, we aim to leave them on farm until May 1st due to the lower stocking rate now the young grass is in the grazing round sooner than normal. 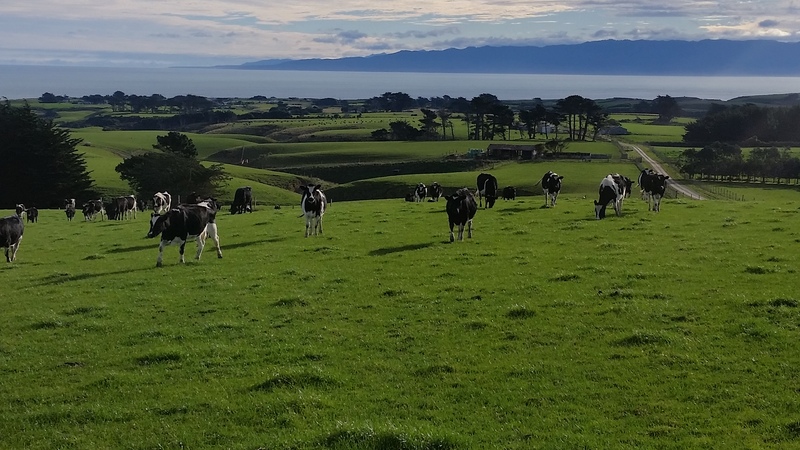 This group of animals had a very tough late autumn/winter period with snow events and lower than expected yield and utilisation at grazing. 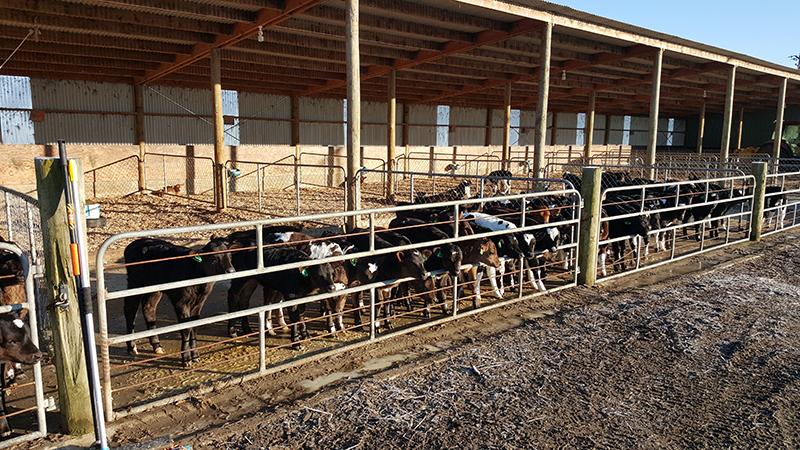 We were in regular contact with the grazier throughout the winter/spring period in order to improve the performance of these animals. 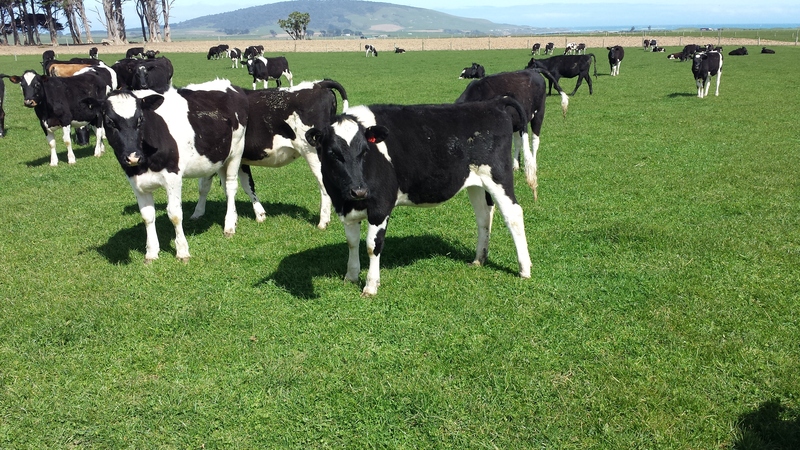 Our grazier has put significant effort in to help improve the weights prior to mating. 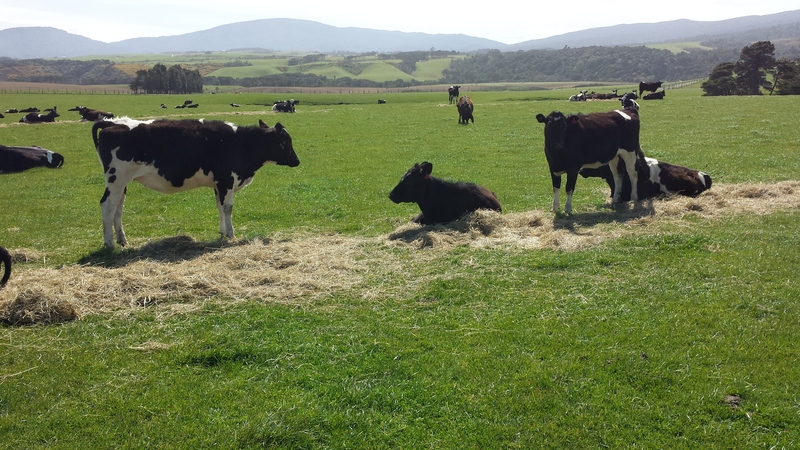 Once the farms pasture situation improved in late August we started to see some improvement. The previous weigh on the 17th September showed that while many were below target (a vast majority in fact) the weight gain per day was improving so we were confident in the measures that were being used and the animals would continue to improve. 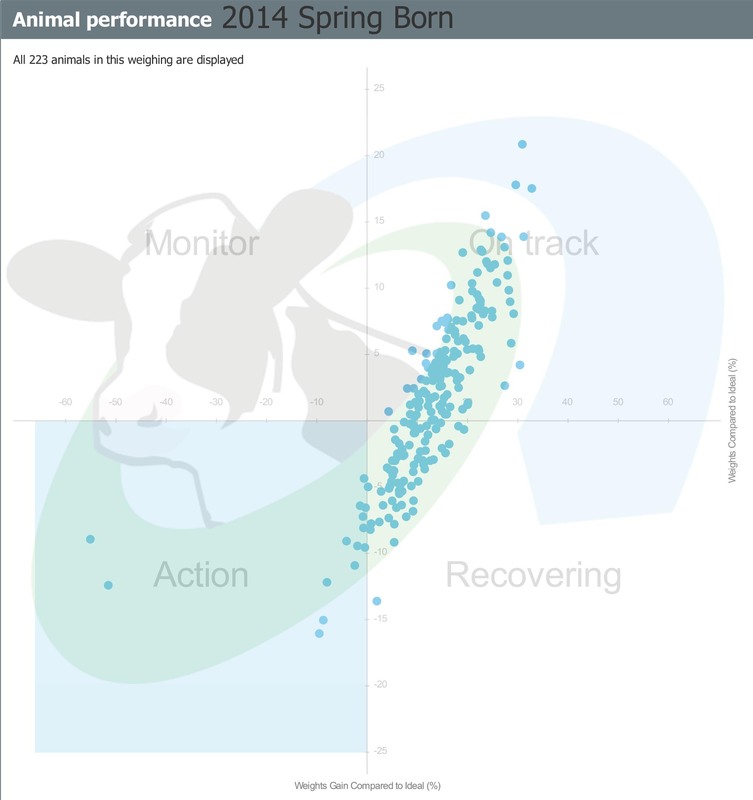 This most recent weigh shows that they have made a dramatic improvement and are all (but 3 animals) now in the recovering quadrant (see the animal performance graph below) which is pleasing. 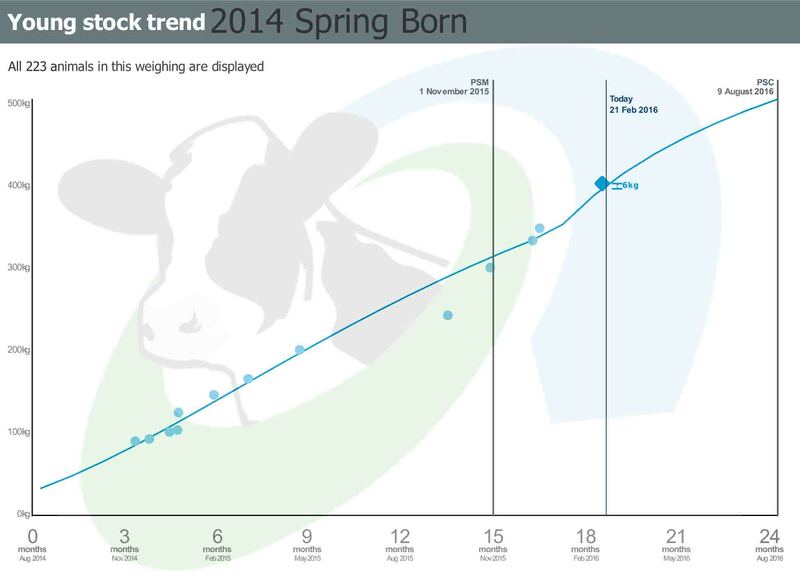 Below is how the 2014 born animals live-weights are trending. 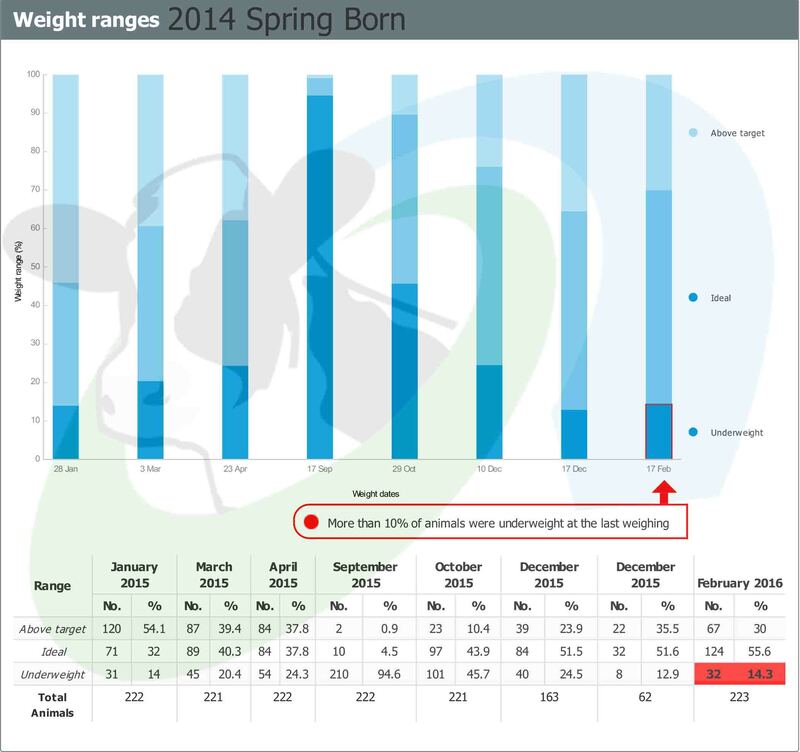 Becuase the weights were collected over 2 different weighs, 2 graphs have been generated. 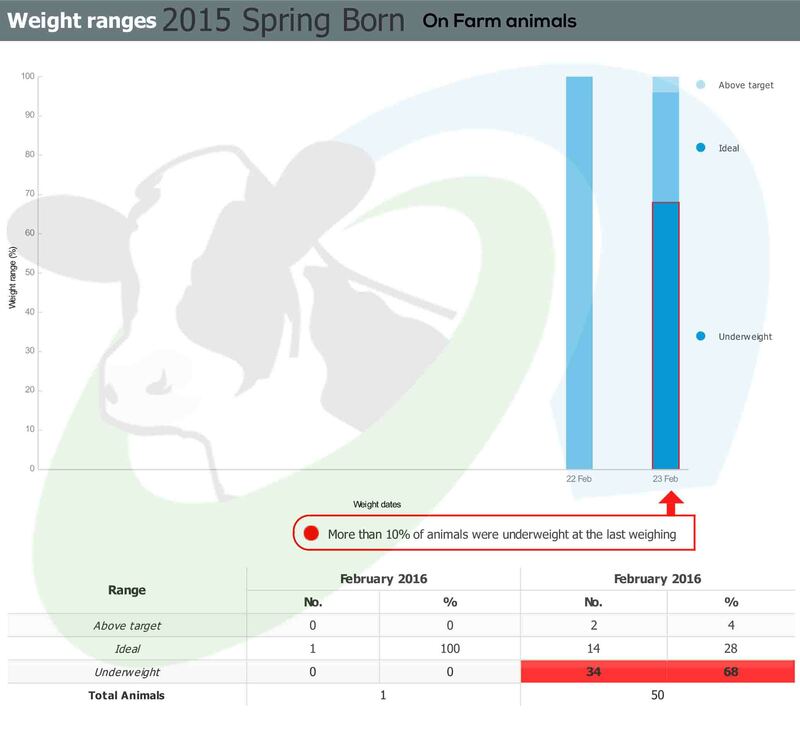 Since our "issue" in the springtime the number of animals below target has been reducing at each weigh.